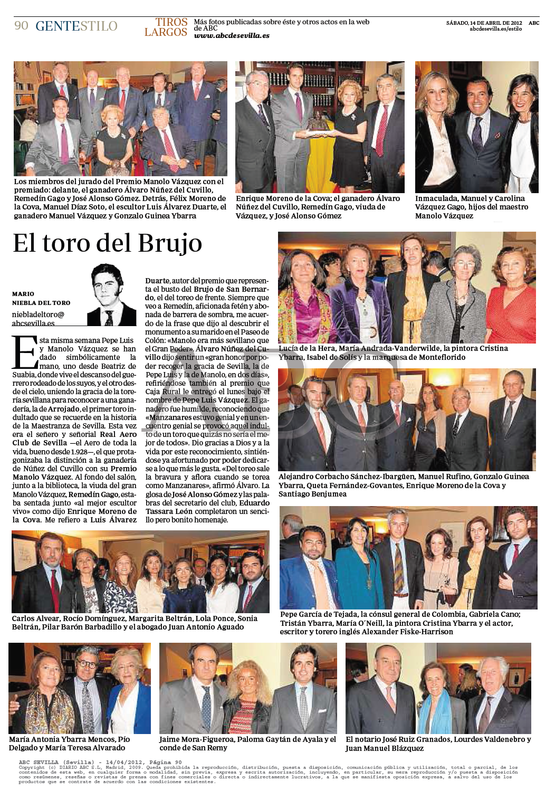 This past Easter Sunday, a British diplomat, Lord Tristan Garel-Jones, made a defense of bullfighting from the lectern of the Lope de Vega theatre in the classic Bullfighting Proclamation the Royal Maestranza of Seville. Bullfighting has always appealed in one way or another to the English. For some, it is a show that, far from their Anglo-Saxon culture, they describe as barbaric. For others it may mean something curious, full of mystery and romance. Such was the case of Joseph William Forbes, boxing manager who every summer went to Spain for his own particular taurine “tournament”. As do the members of the Club Taurino of London, who every year visit our city to attend the bullfights of the April Fair. 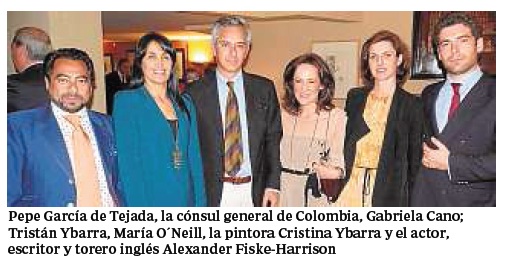 Alexander Fiske-Harrison is an English writer and actor, whom we salute at the gate of the Plaza de Toros. Several years ago now, he began to have contact with the world of bullfighting, with the help of family and close friends. Little by little, he went deeper into the secrets of the world of the bulls. He became an amateur bullfighter, fighting on the ranch “Zahariche” of the Miuras, and arrived at the point of killing a Saltillo bull on the ranch of the Moreno de la Cova family. He became friends with bull-breeders, of bullfighters like Juan Jose Padilla or Adolfo Suárez Illana. 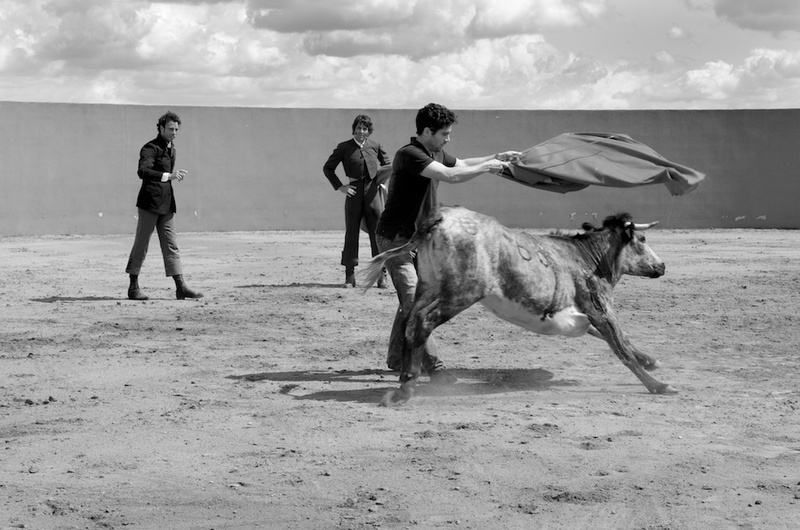 His experiences are contained in the book Into The Arena: The World Of The Spanish Bullfight. As a philosopher and writer specializing in analyzing the behavior of animals, he recognized in England that there is a lot of hypocrisy about bullfighting. 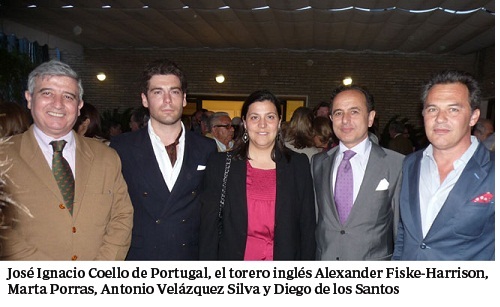 Last week gave a lecture at the University of Seville, explaining his vision of bullfighting. Fiske-Harrison opens a new door, fundamental and necessary, to the Fiesta Brava in Anglo-Saxon culture. In a year of pessimism among aficionados of bullfighting, because of the effect of the economic crisis on the bullfights and the ban on bullfighting in Catalonia, a book published in England provides a dose of hope for the future of the spectacle by giving a sturdy defense of the ‘fiesta nacional’ from a new international perspective. 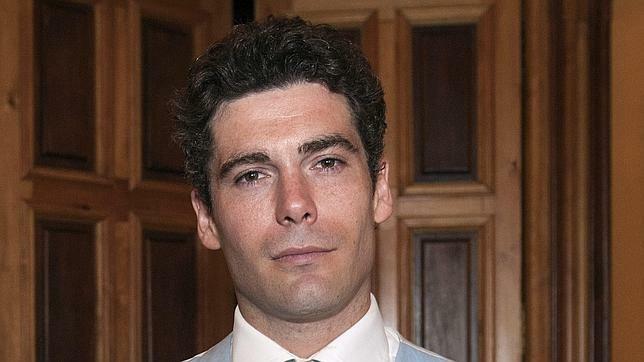 Alexander Fiske-Harrison, a 35-year old Englishman, who studied biology and philosophy, a member of environmental organizations, who made began his career as an actor in London, recounts his two years of immersion in the world of bullfighting in the book Into the Arena: The World Of The Spanish Bullfight. Read on the Spanish language version of my blog, La Última Arena by clicking here. After three years of visits to Spain, has just published the book “Into the Arena: The World Of The Spanish Bullfight” – which is sold on the Amazon website, where he reflects on his experiences in the world of bullfighting.